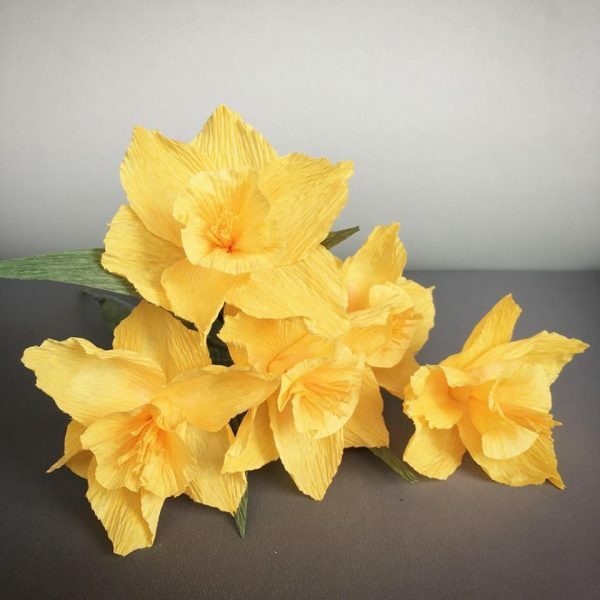 I will never forget how, а few years ago, in a TV studio, I was making paper flowers, maybe even crepe paper daffodils, and a cameraman came next to me and said, “They are so beautiful, I can’t believe they are fake!”. Fake? This word absolutely crushed me! Fake?! What? Paper is older than Western civilisation and it almost hasn’t changed in all these ages from the first moment of its birth. Paper is all a philosophy and to say that something, made from paper is “fake”, is…well, it is almost like saying that a painting with flowers in a window is a fake window in your wall. It makes no sense! 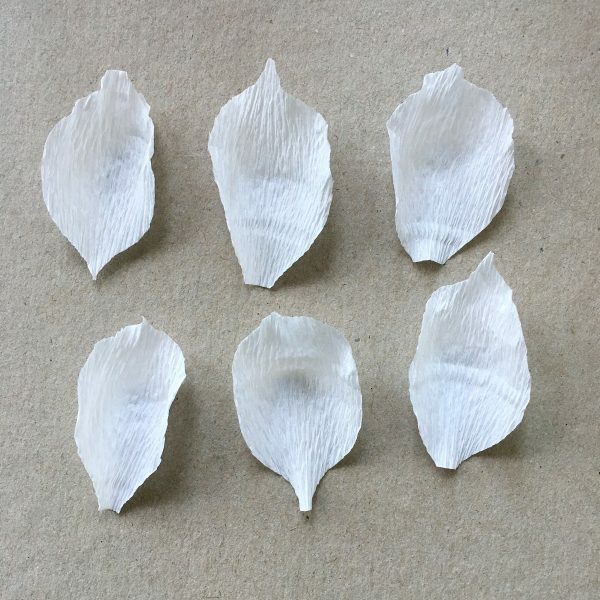 Paper flowers are Art. 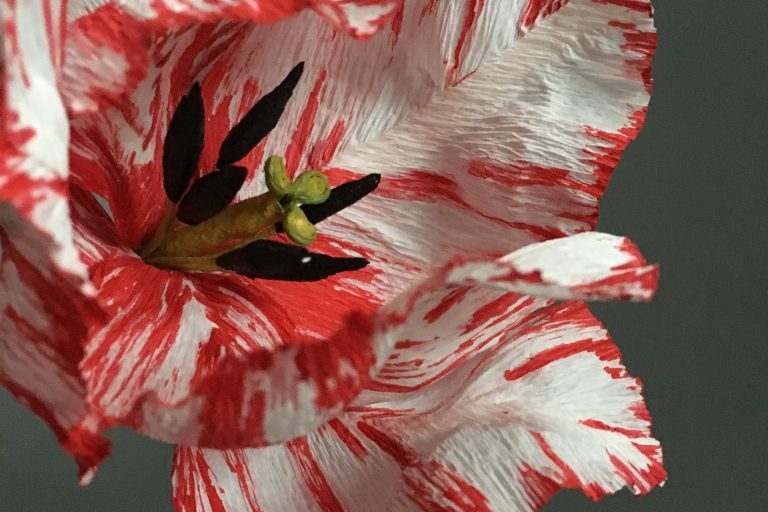 Ok, maybe not mine, but paper flowers by themselves are the newest magical art of the XXI century. An escape from the technological world and travelling back to the good old traditions of handcrafting. 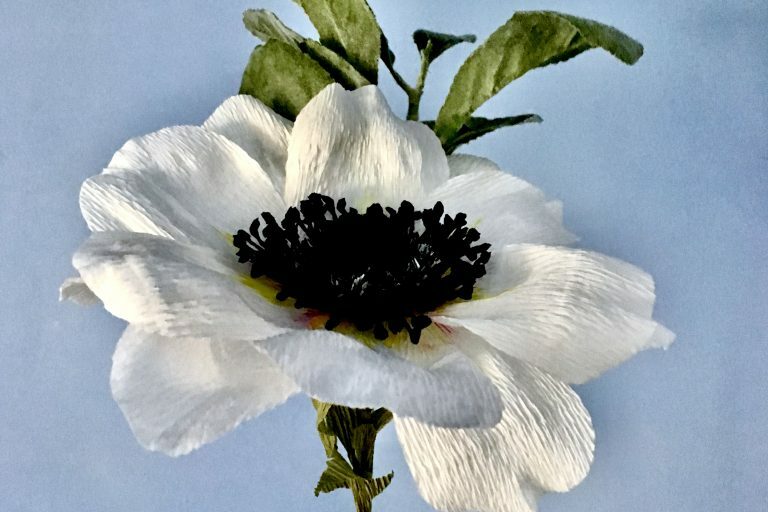 And more – flowers, made from paper provide a great answer to one of the new realities of our modern world. People are travelling a lot and women are working and not only at home. I am among the people which are travelling a lot. Living between Europe and Australia costs me months away from my homes in both continents. And very often I can’t give the keys from our place to a neighbour to water the flowers. 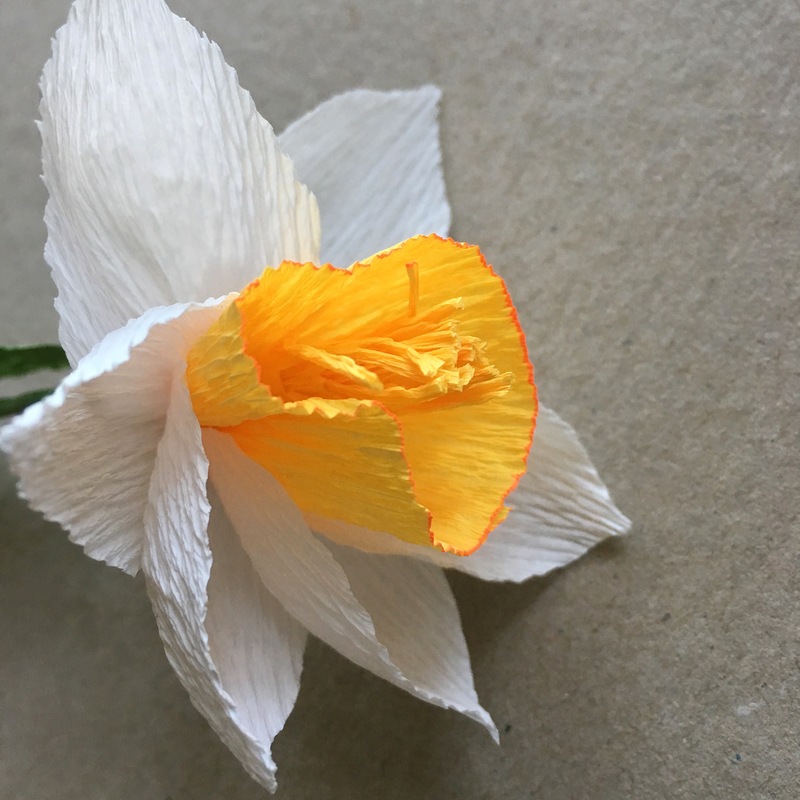 New realities – our neighbours are working and travelling a lot too… So, very often we are coming home to find our beloved jungle (yes, I am a flower lover and especially our European apartment is a real jungle) almost dead. One day I will show you pictures from our home and you will understand what I am trying to explain. The other problem is I love flowers, but don’t love cut flowers. They are very, very sad – their lives are shortened because of our ideas of beauty and style. Sad. And I love floral headpieces, but don’t want them to die after one hour in the summer heat. And because the world is full of people, who have allergies and can’t enjoy the presence of the flowers in their lives. In all these cases the paper flowers are coming to the rescue! Every one of them is a small (or big) piece of art. They don’t need watering every day. I can have them even when they are not in season and I never need to worry about inviting friends with a flower allergy for a dinner. 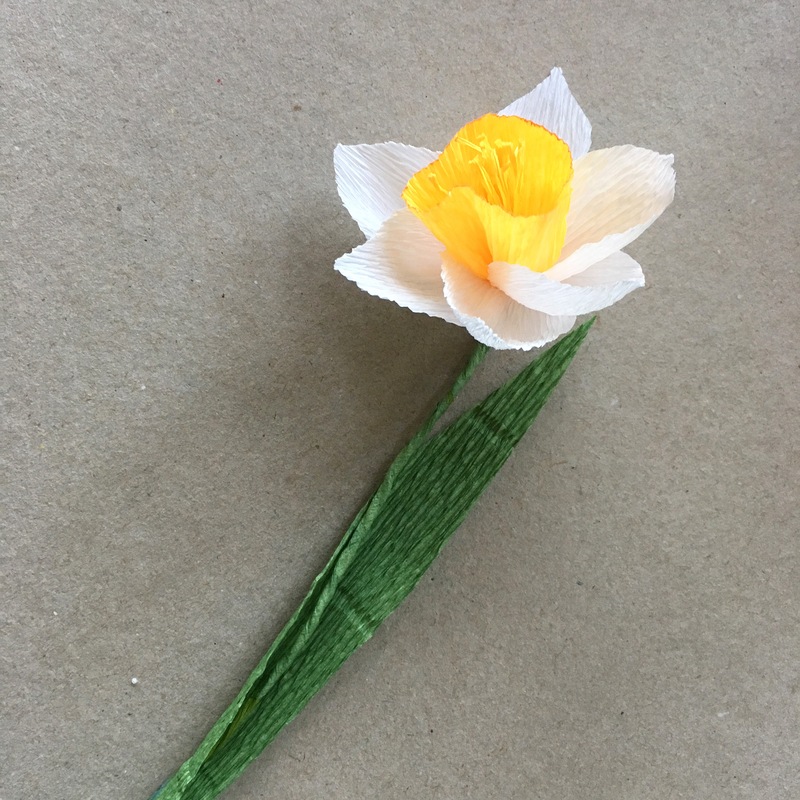 Because of all these reasons and many, many others, which I will tell you about another time, I will show you the easiest way to make paper daffodils. 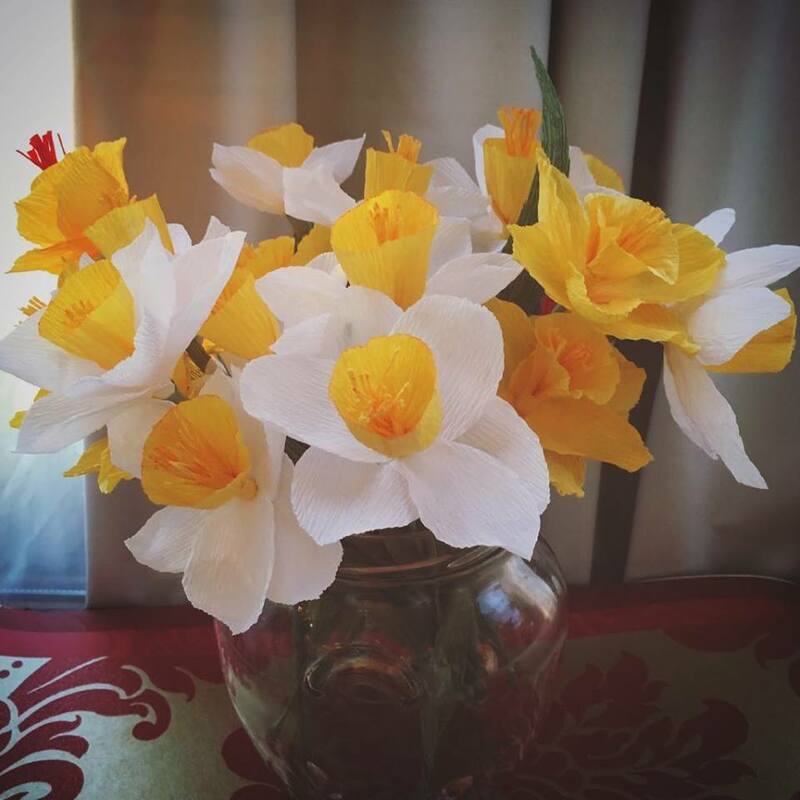 I love these spring flowers which shine with their own warm sunny light. You need white, green and yellow (different shades is better) crepe paper and paper-wire or florist’s wire and a glue. 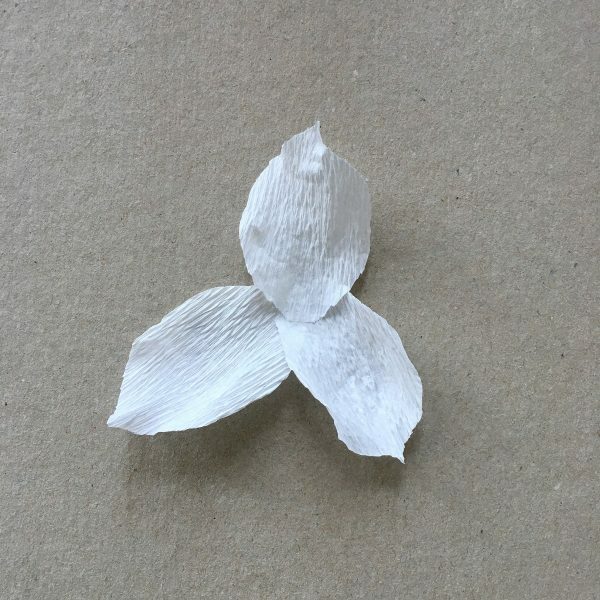 Make 6 petals from the white or light yellow paper and shape them with fingers. … then – the other 3. 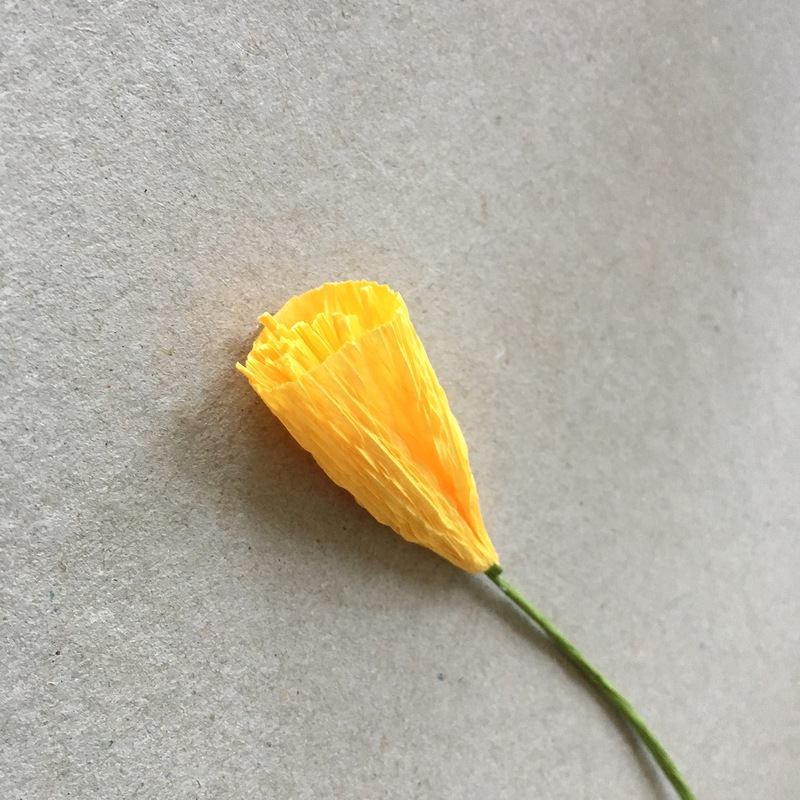 From a rectangle of a yellow paper make a small tube. 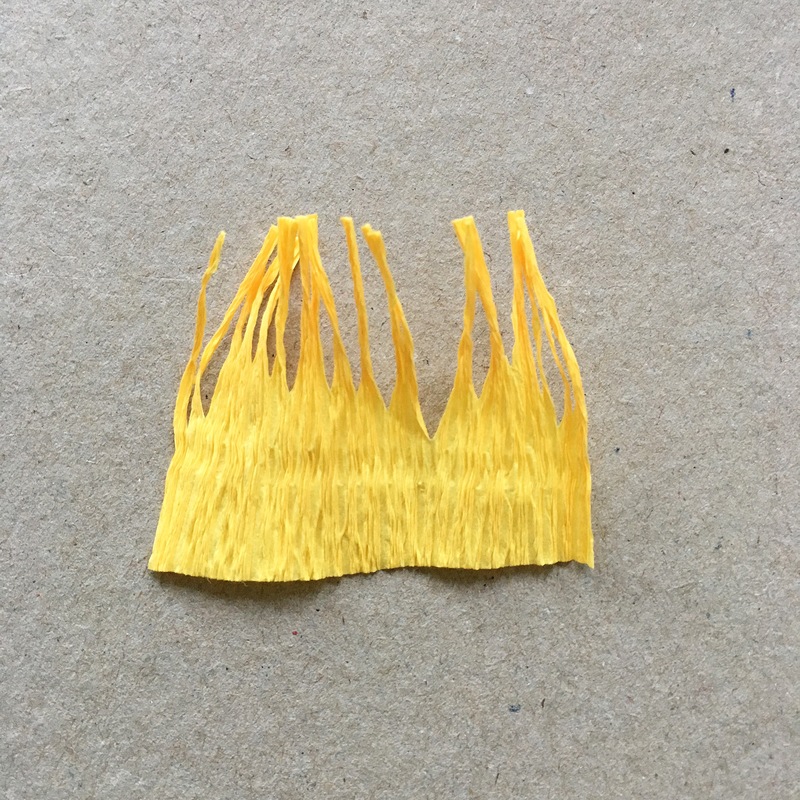 Cut a yellow rectangle with fringes on the top side. These fringes are the future stamens of your daffodil. Roll the cut rectangle and twist the fringes together. Glue them on the paper wire. Insert the tube in the wire with the stamens and glue it. You can put some glue on the inside of the tube or put the glue on the lower part of the stamens. I prefer the second way. Carefully stretch the tube with your fingers. And the stamens are ready. 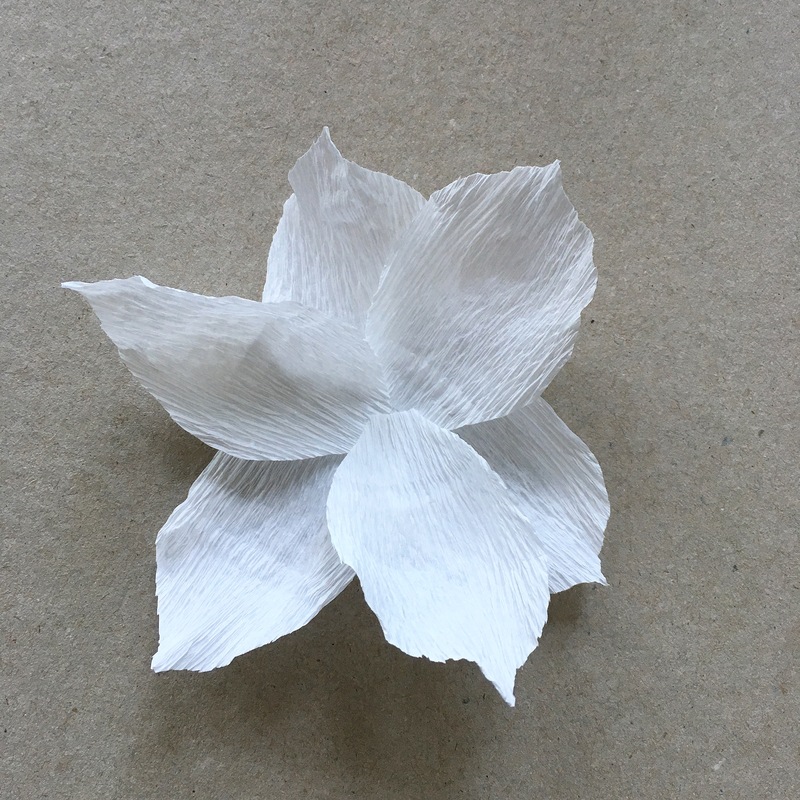 With a big needle make a hole in the middle white petals and insert the petals in the wire with the stamens. 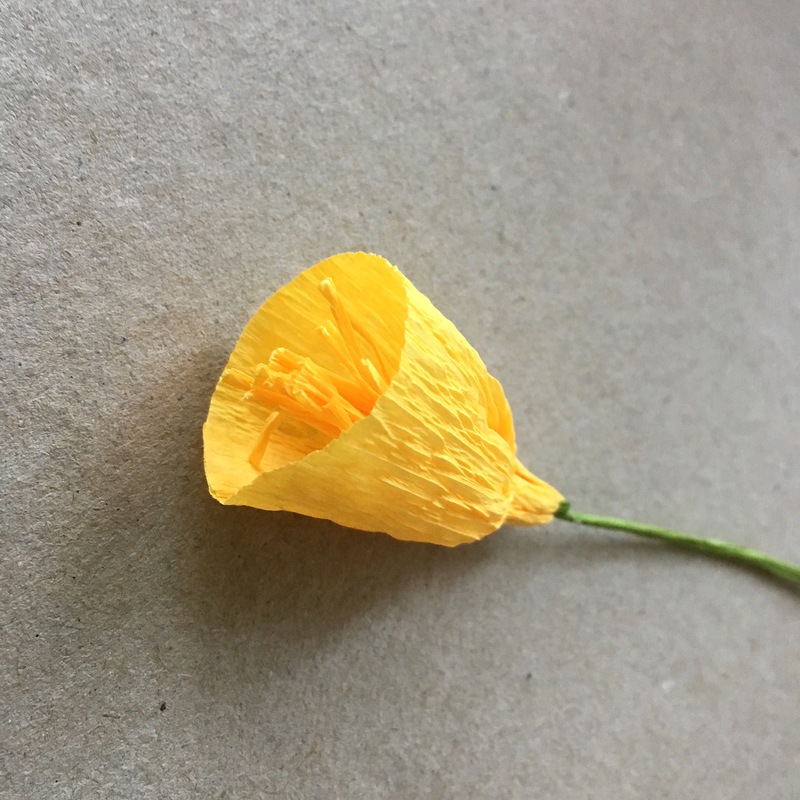 Put glue around the petal’s hole and gently press the stamens onto the petals. With a orange or pink marker, scratch a little bit the edges of the stamen bowl. And the flower is almost ready. 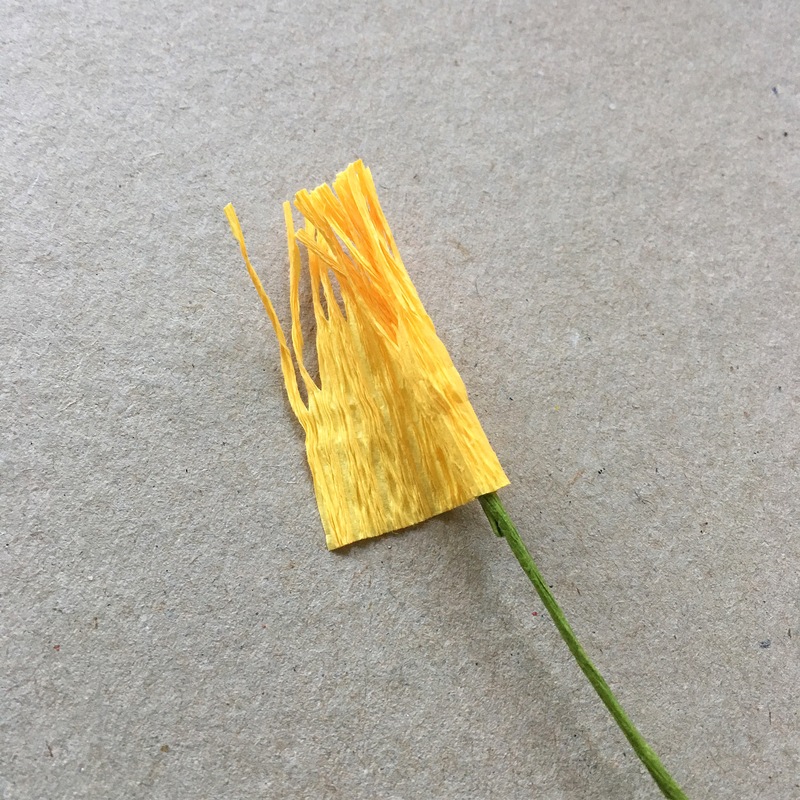 When the top part dries, you only have to twist the wire with some green paper to make a good looking stem, and to connect a simple, long leaf. 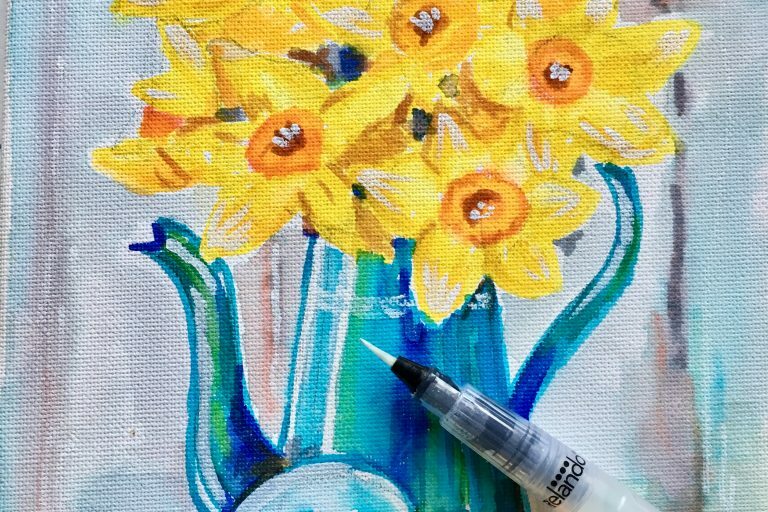 The first step to your shiny, amazing daffodil flower bouquet is done! Enjoy the spring mood and fill your day with creativity and sunshine! 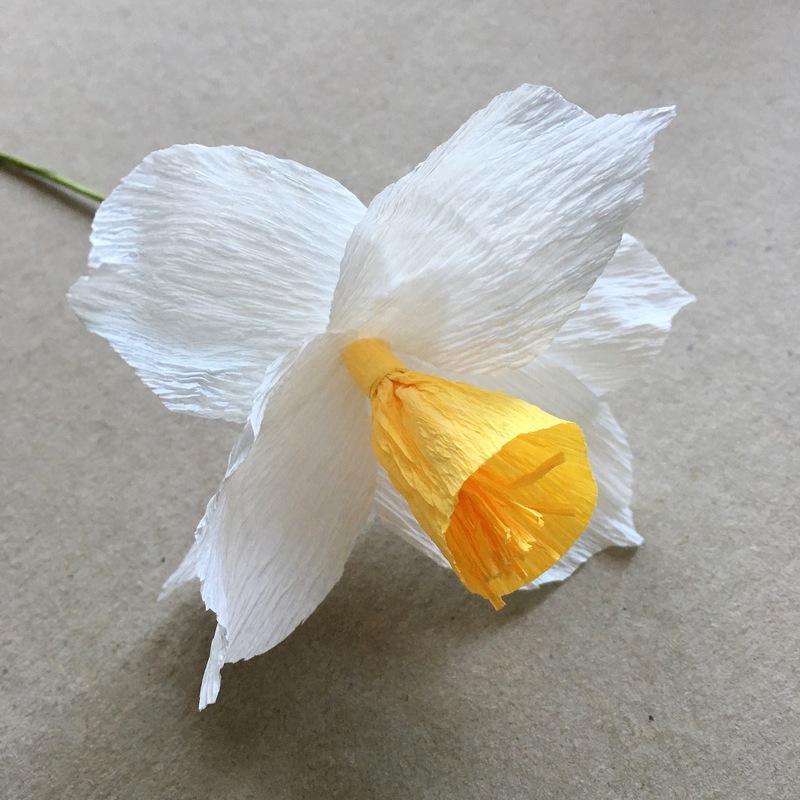 I couldn’t agree more with your words, and as the daffodil is the National emblem of Wales it is a favourite of mine but lasts no time at all once cut.